First, place the CD in your CD drive. Open My Computer (if you're using Windows), click on the icon of the CD, and install it. 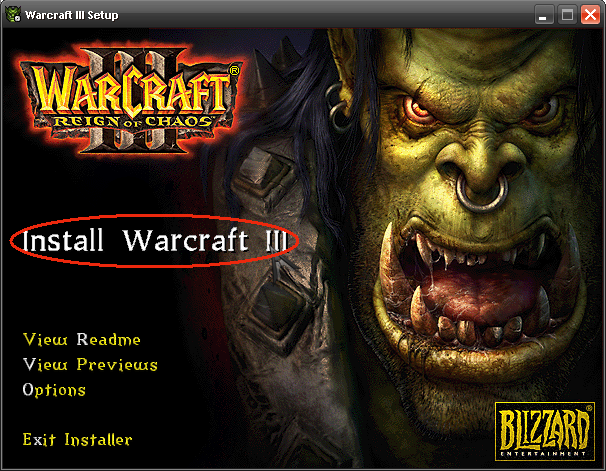 Click "Install Warcraft III" when the Warcraft III Setup opens. Follow the instructions given afterwards. Proceed to the next page. Enter your name and unique CD Key, Click OK. The CD Key can be only found at the box of your Warcraft III: Reign of Chaos. Enter the installation directory. Then Click OK. The installing will be start afterward. Wait until the install completed. 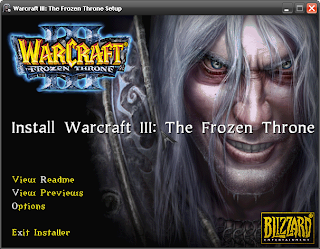 After successfully installing, you'll start to install Frozen Throne. To Install The Frozen Throne you must follow this step. Enter your CD Key. Click OK. The CD Key can be only found at the box of your Warcraft III: The Frozen Throne. The install directory will automatically to the reign of chaos before. The installing will be start afterward. Wait until the install completed. After the installation complete, you must Update the patch. I prefer you to download a dota patch switcher. It because sometimes if we want to see an old replay, we'll need an old patch too. you can click here to download it. •Download the Warcraft Version Switcher 1.26 from the link above. • Extract the files to any folder using WinRaR. • Run Wvs.exe and click the Options button. • Click (1st button) Switch Version and double click your desired Warcraft 3 version. • Your version will be switched!